Chances are you know someone who has, or is suffering from depression. Maybe that person is you. I have known several people who suffered from major depressive disorder (MDD), and some who are still trying to tread water despite their feeling of drowning. For someone who has been diagnosed with clinical depression, trying to explain what you are going through or what you are feeling, is impossible. Even getting up the strength to attempt an accurate description is overwhelming. 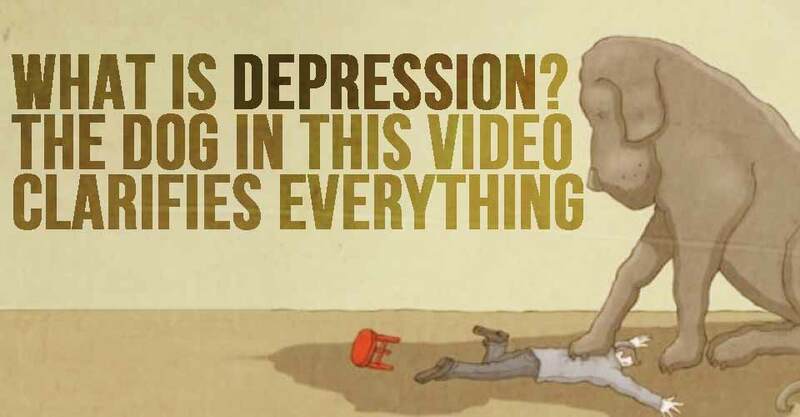 This short animated video perfectly shows us what it is like to have these feelings- the sullen ebb and flow, the confusing darkness, the wishing for normalcy and so much more that others might not be aware of. NIMH will utilize important findings on thought-process research. This research shows evidence that points to the role of negative attentional and memory biases — selective attention to and memory of negative information — in producing and sustaining depression and anxiety. NIMH researchers will seek to identify distinct subtypes of this specific mental condition characterized by various features including genetic risk, course of illness, and clinical symptoms. Advances in neurobiology and brain imaging technology now make it possible to see clearer linkages between research findings from different domains of emotion and mood. An important long-term goal of NIMH research is to identify simple biological marker that, for example, could be detected in blood or with brain imaging. Do you know someone who has or is suffering from depression? What advice do you have for others in their shoes? Let us know in the comments!